Correctional librarianship can be a rewarding career path or career entry point for librarians seeking to use their skills to improve lives and/or work with underserved populations. But what, exactly, is correctional librarianship? Where might you work, and what work might you do? 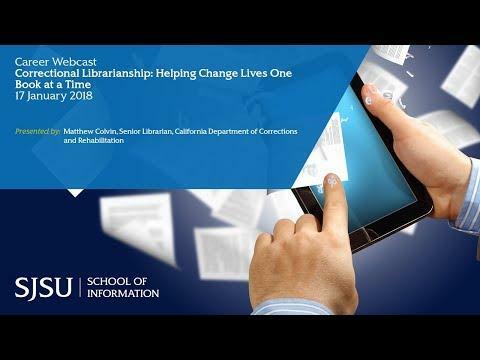 Find answers to these and other questions about correctional librarianship by joining San José State University alumnus Matthew Colvin, senior librarian for the Salinas Valley State Prison, as he shares his career expertise.